LIQUI MOLY AERO SpeedWax is a revolutionary new development in surface care for general aviation from LIQUI MOLY. Cleans, removes insects, gloss wax and seal in one operation. Done in less than 10 minutes for a Cessna or Piper, for instance! Produces optimum surface quality, giving a speed boost of up to two knots! Packaging unit for maintenance facilities and Marketing Partners: 12 pcs. Refreshing heavily weathered paintwork with LIQUI MOLY Aero Paint Restorer before treating with Aero SpeedWax! 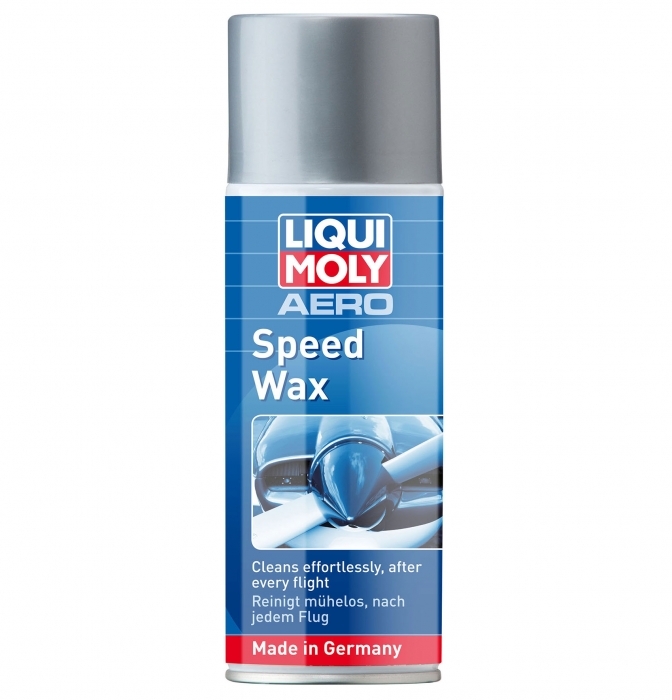 LIQUI MOLY AERO SpeedWax has been specially tailored to the needs of general aviation. * Based on residence in South Africa. Tax rates for other countries will be calculated at the checkout. Price exclusive of tax: ZAR355.26.